With salons all over Sydney and an expanding group of Franchise Partners, the Stylz Hair Group are constantly recruiting great people to join their team. If you feel that hairdressing may be the career for you, why not give it a try while you are still at school? As a Stylz Salon assistant you can work thursday evenings, saturdays and sundays and really get an idea of what it’s like to be a professional hairdresser working in a dynamic salon. We believe that the traditional apprenticeship system is the best way to train as a professional hairdresser. As an apprentice you are paid while you train on the job and one day a week at TAFE college. When you complete your apprenticeship you will be commercially competent in all facets of hairdressing and salon experienced. Our top performing stylists are amongst the highest paid in the industry. We provide excellent working conditions and a variety of educational programmes to improve and enhance your skills. Management opportunities provide a solid career path. An exciting, challenging and highly rewarding role where you are given a high degree of autonomy and interaction with senior management. 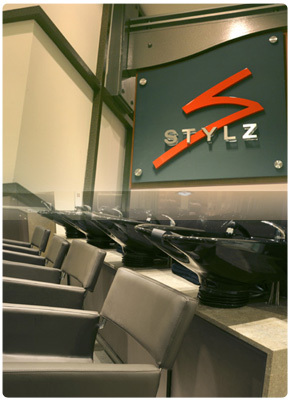 Many of our salon managers have become Stylz Franchise Partners, owning and operating their own business.